The Considerate Constructors Scheme – the not for profit organisation that works with contractors, clients, the construction supply chain and communities to enhance the image of the construction industry – is introducing a series of steps that will develop the Scheme for the next decade. The Scheme, which brings value and benefits to thousands of communities and partner contractors, clients and suppliers across the UK and Ireland, will work with the industry to create a new focus on Social Value. It will also focus on driving deeper community and public engagement, a more focused strategy on consumer facing marketing and PR, a comprehensive programme of listening and partnership and an assessment of new technology initiatives that can develop the core benefits of the Scheme. 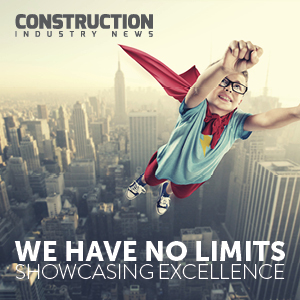 ”This announcement sets the Considerate Constructors Scheme on a path for the next 10 years,” said the Scheme’s Executive Chairman, Isabel Martinson MBE. “Our new strategy and structure will mean that the Scheme will be well equipped for the next phase of its journey. Edward Hardy, who has been the Chief Executive of the Considerate Constructors Scheme for the past ten years, will step down at the end of 2019 when the new Chief Executive takes up the role. The Considerate Constructors Scheme has a third party delivery partner that manages the day to day operations and implementation of the Scheme. The signing of a new delivery and service agreement underscores the successful partnership that has been created by the Considerate Constructors Scheme alongside the Scheme’s owners, the Construction Industry Council (CIC) and the Construction Products Association (CPA). “The Scheme’s wide adoption, support and partnership across the UK and Irish construction industries are testament to the hard work, vision and innovation the Scheme has brought to the construction industry. The Considerate Constructors Scheme has measurably improved the image of construction,” said Mrs Martinson. The new Chief Executive will lead the strategic direction of the Scheme, how the Scheme works with communities, with customers and with a broad range of organisations, interest groups, local and national government and other key stakeholders. New tools will be developed to understand and measure Social Value. There will be a strengthening of where the Considerate Constructors Scheme delivers key value, including: the development of its Ultra Sites programme; contractor and subcontractor registration; and an assessment of how it may be able to be more effective geographically. The Scheme will also review its marketing and communications strategy and how it might provide additional value to industry Public Affairs work.